Drop the AC power adapter today with these Power over Ethernet (PoE) adapters and injectors. In an effort towards global sustainability, many manufacturers are now selling their IP devices PoE enabled hereby eliminating the need for an AC adapter. Power your PoE enabled VoIP Phones and IP Cameras with a PoE Switch or a PoE injector - also called a PoE adapter. VoIP Supply carries multiple PoE injectors including single port injectors, PoE Splitters, and multiport PoE midspans. 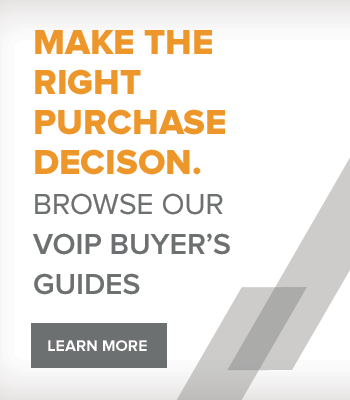 When installing a new PoE switch to power your IP devices is not an option, turn to VoIP Supply for your PoE injectors and skip the AC adapter! All of the PoE devices we retail come with a standard manufacturer’s warranty, are fully supported by our team of in-house Networking experts and work in conjunction with most popular Networking products like our network switch offerings. 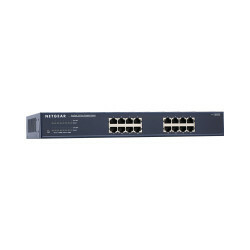 The Netgear ProSafe FS108P is an 8-port Fast Ethernet Switch that supports Power over Ethernet over four of its ports. The FS108P has an advanced algorithm that distributes power effectively to end devices so that you don't have to worry about damaging proprietary PoE or non-Poe equipment. The Netgear GS752TPSB provides PoE on 52 ports of gigabit Ethernet throughput where 8 ports provide PoE+ and 4 SFP ports for uplink and stacking. 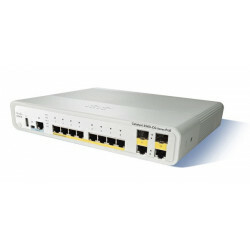 The CyberData 011258 2-Port PoE Gigabit Port Mirroring Switch is for network diagnostics while maintaining PoE or PoE Plus connection. It's powered from a single 802.3at or 802.3af network switch and passes that power through to one or two of the downstream switch ports. The Netgear GS728TPP-100NAS ProSAFE is a 24-port Gigabit Smart Switch with PoE+, 1 EPS connector, and 4 SFP Ports. This Smart Switch provides enhanced performance, usability and ease of management and has been manufactured to handle converged networks, while lowering operational costs. 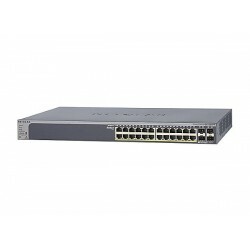 Cisco Catalyst WS-C3560C-8PC-S compact switch easily extends an intelligent, fully managed Cisco Catalyst wired switching infrastructure, including end-to-end IP and Borderless Network services, with a single Ethernet cable or fiber from the wiring closet. 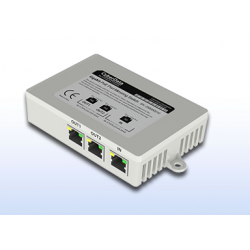 This attractive, small form-factor Fast Ethernet switch is ideal for connecting multiple devices on the retail sales floor and in classrooms, hotels, and factories and for extending wireless LAN networks. 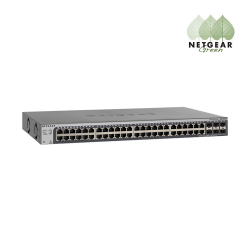 The Netgear GS752TXS is a 48-port Gigabit Stackable Smart Switch with 10-Gigabit connectivity to deliver maximum throughput in SMB networks. The GS752TXS features enterprise-class applications, scalability and reliability, and flexible management options. The Netgear JGS516PE is a 16-port Unmanaged PoE Gigabit Switch for today's businesses with growing demands. The JGS516PE has PoE support on 6 ports, plug-and-play connectivity, and delivers network monitoring, traffic prioritization and VLAN to your company. 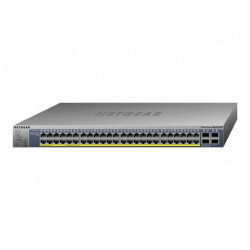 The Netgear JGS524PE is a 24-port Gigabit Unmanaged Plus Switch with PoE on half (12) of the LAN ports. 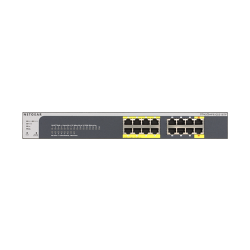 The JGS524PE has 16 ports that deliver up to 2000 Mbps of dedicated, non-blocking bandwidth per port, network monitoring, traffic prioritization and VLAN support. 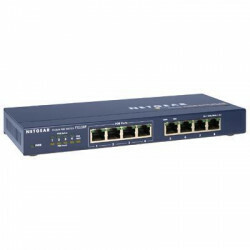 The Netgear GS510TP is a ProSafe 8-port Smart Switch with PoE on all LAN ports and 2 Gigabit SFP Ports. 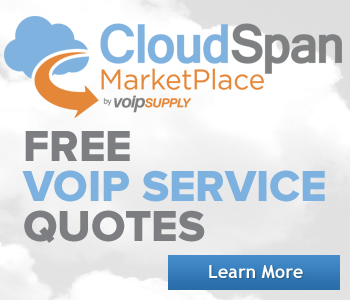 The GS510TP has Auto Voice VLAN for VoIP deployment, Smart Control Center, and standards based technology for interoperability with an existing network. The Netgear GS516TP is a ProSafe 16-port Smart Switch with PoE on half LAN ports. 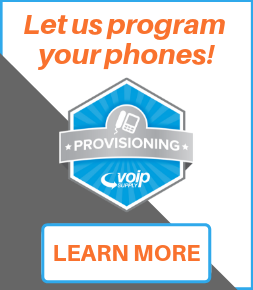 The GS516TP has Auto Voice VLAN for VoIP deployment, Smart Control Center, and standards based technology for interoperability with an existing network. 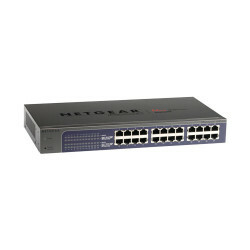 The GS516TP is part of Netgear's ProSAFE Smart Switch Series- switches specifically designed to handle the needs of converged networks where all applications are carried on a single platform.